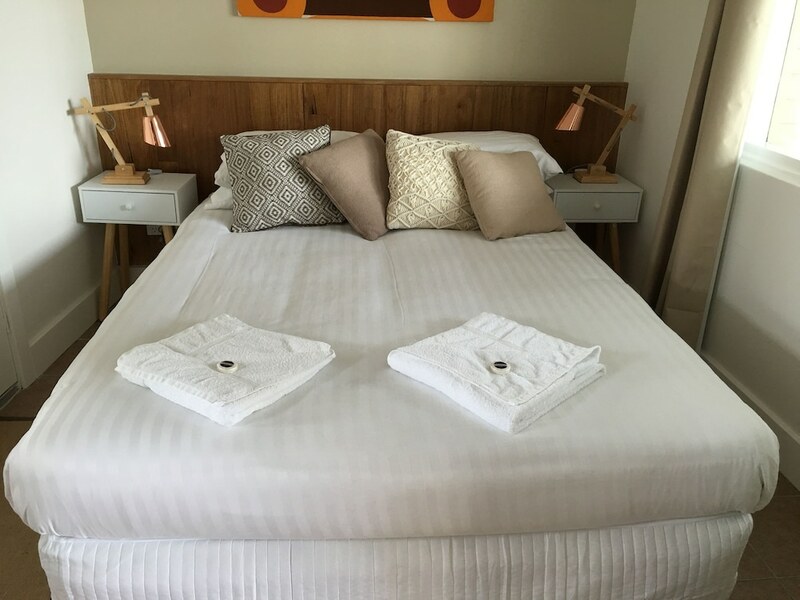 With a stay at Belmont Palms Motel in Marks Point, you'll be within a 10-minute walk of Lake Macquarie and Belmont Golf Course. This motel is 12.3 mi (19.8 km) from Merewether Beach and 14.3 mi (23.1 km) from University of Newcastle. Make yourself at home in one of the 15 air-conditioned rooms featuring kitchenettes with refrigerators and microwaves. Wireless Internet access (surcharge) keeps you connected, and flat-screen televisions are provided for your entertainment. Conveniences include coffee/tea makers and irons/ironing boards, and housekeeping is provided daily.